If there were ever a hotter pursuit of a model by a rock star, I don’t know of it. 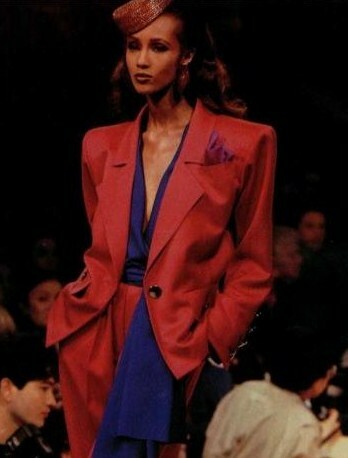 Iman, on the YSL runway, in fashion's heyday. This pair, it seems, were suited for each other from the start. 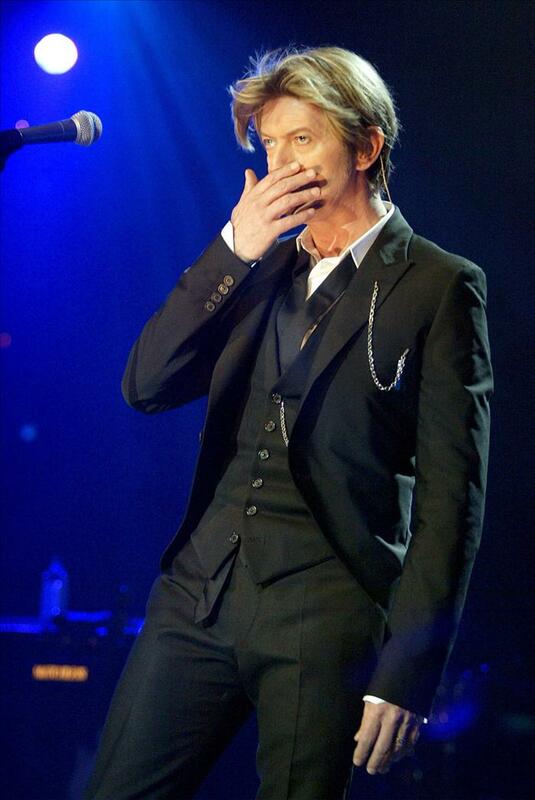 Mr. Bowie in 2002, showing all men how a suit is worn. Today, Mr. and Mrs. Jones are celebrating their 20th anniversary. Wishing them many more. Iman and David Bowie at the Met Gala in 2007. Just your average, everyday icons of style, grace and love. Iman photo via Wikipedia; DB in concert photo by Lionel Flusin; couple photo by Dimitrios Kambouris/WireImage.com.